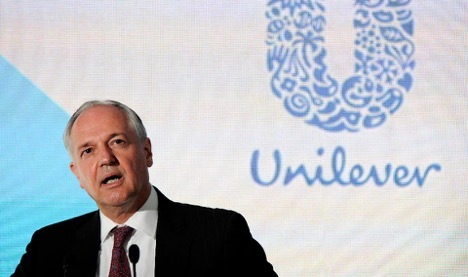 Sustainability icon and Unilever CEO Paul Polman made his feelings crystal clear on the unsolicited merger offer last week by Kraft Heinz, backed by the Brazilian cost-cutters at 3G Capital and their partner Warren Buffett: the proposed deal, Unilever said, “had no merit, either financial or strategic.” Ouch. I recall early in Polman’s CEO tenure hearing him say there were many cynics watching him and his sustainability quest, hoping he would fail (so their single-minded focus on shareholder value could continue while the invisible hand takes care of complicated global matters like ecological footprint). Right on cue, we see the 3G boot attempting to pin Polman’s head under water for the greater good of short-termism, furthering the scourge that financialized capitalism has become for society. Unilever swatted away their unwanted financial-driven suitors like a grizzly bear smacks down an interloper if her cubs are close by. How could the purportedly well-respected 3G financiers — and Warren Buffett no less — fail to understand that Unilever was not just a commodity portfolio of consumer brands to manipulate for a quick short-term profit boost before moving on to the next “opportunity”? Unilever is, rather, a purpose-driven company on a quest to “make sustainable living commonplace” and show that sustainability can also be good business. In other words, Unilever has meaning for its customers, its employees, and the world. It’s a “baby cub” that mama bear – Polman in this case — will protect to the death. It is hard not to conclude that the 3G suitors – often referred to as mercenaries for their ruthless cost cutting, eliminating 13,000 jobs from Kraft Heinz for example – must have viewed the “sustainability stuff” as little more than corporate waste and soft public relations B.S., and that Polman would have a price for his dream. They miscalculated, “friendly” offer notwithstanding. But the fundamental issues at play here are worth more serious reflection than the mere machismo of win-or-lose deal-making in the greed-driven world of finance. We must ask ourselves three questions. First, is a genuine commitment to sustainability compatible with winning in the competitive global marketplace? Second, is it possible for courageous business leaders to lead this transformation in the face of “market reality,” rather than rely on government regulation? And finally, how does a company like Unilever navigate the short-term demands of stockholders (and protect itself against the sharks) while at the same time working to effect the difficult, long-term transformation that a genuine commitment to sustainability demands? I will assert the answer to the first question is, “yes, definitely in the long run, and no large company, including Unilever, is close to being truly sustainable”; and, to the second, “yes, we had better hope so, and thank goodness for the example provided by Polman, whom business leaders like Buffett and his 3G friends should be studying not stalking.” With respect to the final question, I say, “it may well be impossible to accomplish within the current capital market context.” Let me explain. The increasing short-termism driven by so-called “investors” who are simply speculators having nothing directly to do with real investment and the real economy—including activist hedge fund operators, algorithmic “high-frequency” traders and a lot in between—is well understood, with negative implications for the long-term health of the real economy. But with respect to businesses’ ability to transition their business models to sustainability-focused ones—which is the long-run imperative for civilization itself—this short-termism cancer may be terminal. Unilever found itself in the heart of this dilemma last week, ironically with none other than the champion of long-term investment, Warren Buffett, sitting across the table on the side of the short-termism opportunists. We live in confused times. Both perspectives are valid when looked at through the lens of the speculative capital market paradigm – what’s needed is a shift in perspective to an alternative paradigm, ironically, a shift back toward a more evolved version of the buy-and-hold real investment approach upon which Buffett built his stellar reputation. In doing so, we discover a third way to address both the genuine needs and desires of prudent investors, as well as the sustainability transformation imperative of the economy and civilization. The food products business (not to be confused with fresh, nutrient-rich food) is mature, which means little if any growth. Yet brands like Unilever’s Hellmann’s mayonnaise generate stable cash flow, the classic “cash cow” businesses. But because they grow slowly, if at all, the stock market rightly values them at a low multiple of cash flow. So these cash cows become a valuation burden, dragging down the stock price multiple of their parent companies and inviting ruthless (and in part sensible) cost-cutting to generate earnings growth. But transitioning them to more sustainable products – mayonnaise using non-GMO soybean oil grown using regenerative rather than industrial agricultural practices and paying farmers a living wage – often means higher costs at least in the short-term. So there is a tension that is difficult if not impossible to reconcile for a company whose stockholders (speculators) hold their feet to the fire with a short-term perspective. But enlightened investors like pension funds should see the opportunity. They want two things for their pensioners: stable cash flows purchased at a reasonable price (Unilever’s cash flows are cheap, which is why Buffett and friends had an interest) so they can match the fixed pension obligations they have with less risk than speculating in the stock market. And second, they also should demand products from the companies they invest in that are both healthy for their pensioners and healthy for the planet on which their pensioners and their children need to live. Drawing on the framework of regenerative economics, we see that “right relationship” – relationships that are mutually beneficial – is the critical principle out of alignment here, and thus a profound opportunity. There is no “right relationship” between stock speculators and the companies whose shares they speculate in. There is often no genuine relationship at all. And a “relationship” with a suitor like 3G that would mean destroying the well-considered purpose of the company is hardly a “right relationship”, as Mr. Polman made abundantly clear with his “hell no” response. But if large institutional investors like pension funds could see outside the capital markets paradigm, they would notice vast opportunities for win-win “right relationship” in creative partnerships at scale with purpose-driven companies like Unilever. The Evergreen Direct Investment method is but one of many possibilities for such creative real investment partnerships. Is this the future of “investor relations” in the transition to a just and regenerative economy led by courageous pioneers like Polman in partnership with bold and truly responsible institutional investors, where retail investors can tag along for the ride to participate in the essential and profitable transition of big business? Hell yes!